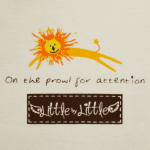 An all-purpose t-shirt for the active toddler boy who is busy asserting himself all day. 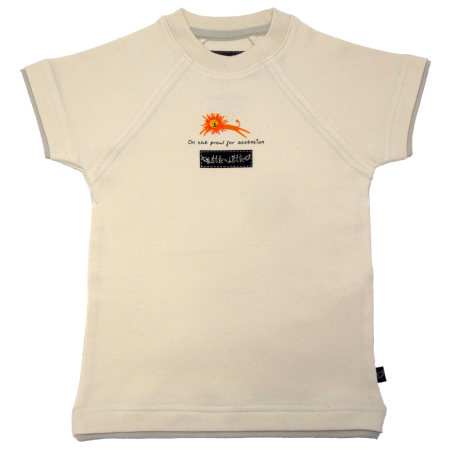 Choose the design that best expresses your little boy and let him run loose in it. 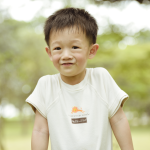 The same design is available on a brown Short-Sleeved Romper for the equally assertive little brother or sister. 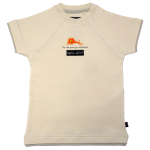 Care Instructions: Machine wash in gentle cycle, using mild liquid detergents. Tumble dry on gentle setting or line-dry on reverse side in shade. Iron reverse side on low tempterature if required. DO NOT soak in hot water, wring, bleach, or dry clean. Keep away from fire.